In 1805 while portaging around falls on the Missouri River, Lewis and Clark recorded the discovery of a large spring feeding into the Missouri via a short river. 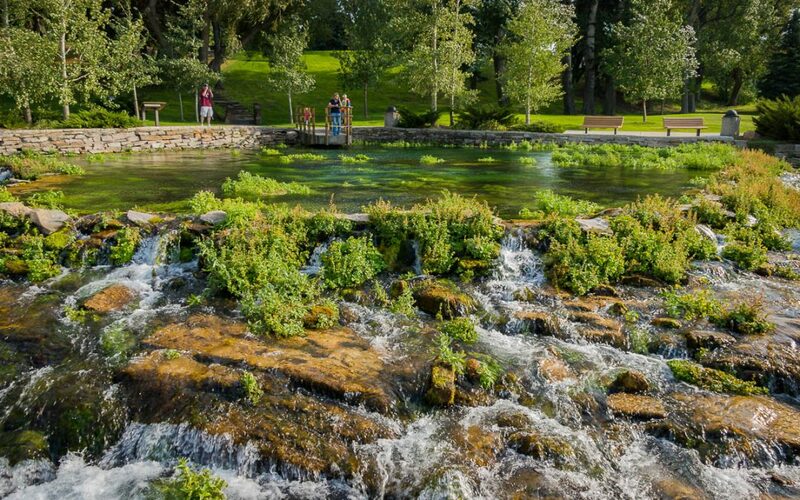 Today, Giant Springs and the Roe River are two features preserved in a state park in Great Falls, Montana. One of the largest fresh water springs in the world, Giant Springs flows at a rate of 156 million gallons per day. Feed by snow melt and rain from the Little Belt Mountains 60 miles away, the water filters down through the 250 million year old Madison Limestone Formation, taking 2,900 years to complete the journey to the spring. The water temperature is a constant 54 degrees. The Roe River, the World’s Shortest River, connects Giant Springs to the Missouri River. Giant Springs is connected to the Missouri River by the Roe River. It has been variously measured at between 58 feet and 201 feet reaching a depth of 6 to 8 feet. 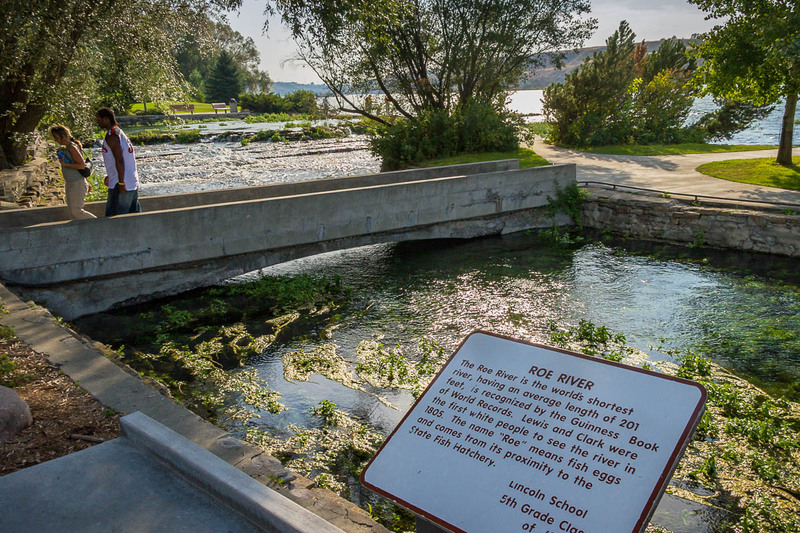 Because of the efforts of the 5th grade class at Lincoln School in 1988, the Roe River was listed in the Guiness Book of World Records as the Shortest River in the World. Giant Springs Heritage State Park is a short detour from US Route 89. Visit the Giant Springs website for directions. To find your way to Great Falls, go to the Great Falls to Browning Road Trip Guide.